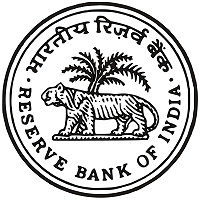 Availability: Candidates who all are eligible can fill the Application Form for various RBI Exams 2019. Application form will be released on the official website on 19th September 2018. The last date to fill the application form is 1st January 2019. Mode: Application form can be filled only on an online mode in the official website of that particular job opening. Basic Details: After the registration process is completed, candidates have to fill the application form and enter the basic personal details. Personal details: Personal details like name, father's name, mother's name, date of birth and gender should be mentioned properly in the same way as mentioned in their certificates. Contact details: The candidate must provide valid E-mail Id and his/her own as any further communications in future will be made to this email and phone number. Educational Qualifications: The candidate has to provide necessary details of their graduation and post graduation degree. Size: The photograph size should be between 20kb - 50kb and the size of the signature should be between 10kb - 20kb. Resolution: For photograph should between 200 x 230 pixels and for the signature, it should be 140 x 60 pixels. Format: Both photograph and signature must be JPEG format. Mode: Application fee can be paid only on the online mode by using Debit Cards/ Credit Cards, Internet Banking, IMPS, Cash Cards. Reserved Categories: Candidates belongs to SC, ST and PH will have to pay INR 100. Unreserved Categories: General and OBC candidates will have to pay INR 850. Note: After the payment, candidates are advised to take a print out of the application form for future reference. Candidate should also be aware of payment process clearly to ignore double charge. After the successful payment, E-receipt on the computer screen will be generated if not then the transaction has failed. For unsuccessful payment, login and make the payment again and it will be successful.